Don’t try to be your own General Contractor. When you have a project, there are a hundred things to consider, and it can be easy as a homeowner to miss the little details. We can manage and fix every single detail to each remodeling project. Have open communication with your contractor. Communication and organization is huge. We have some online software we use that allows us to best manage our projects and communicate easily and quickly with our clients. You can see drawings and selections here, while also discussing project updates with our field staff and production manager. Have a firm schedule, ideally with real-time online access. Schedules are bound to change and vary depending on various circumstances in a remodel. In that same software detailed above, you can see the schedule and any changes that may arise. Plan ahead and organize your space for the holidays. Your expectations are a big deal. You should know what to expect from us and what space and timeframe there is to work in and with. The project goes very smoothly once all of the details of space, time and organization are planned out. Lastly, you have to make sure you like the people you will be working with. Check the company’s references and licenses, and make sure they are getting continued education and/or they are members of trade organizations. If you want your home remodeling project “Planned Right. Priced Right. 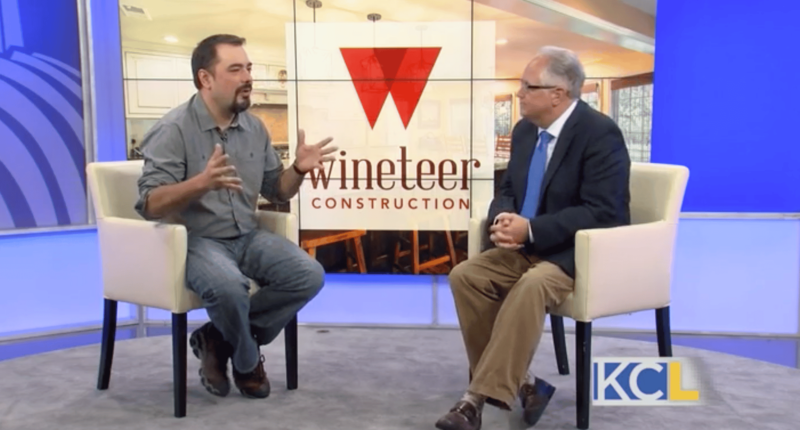 Done Right,” especially during the holidays, consider using Wineteer Construction! We will take care of all of these steps and tips for you, ensuring open communications throughout the entire project. Wineteer Construction will even work around you so you can still use your home during the holidays, and we will keep everything cleaned up and safe for everyone, visitors and pets alike!